Exactly how the British royal family will spend New Year's Eve. Exactly how the royal family will be celebrating New Year's Eve this year. It’s been a very big year for the royals. For Meghan and Harry, they confessed their eternal love for each other in front of the entire world, as the Duchess of Sussex learnt the ropes of becoming a royal. For Kate and Will, the year brought them their newborn son Louis. So how will the family be celebrating the year that was? Apparently, not together. The Duke and Duchess of Sussex will be bringing in 2019 from the comfort of their Sandringham home in North-East England. The decision to have a quiet night in is unsurprising, especially given Meghan Markle is due to give birth in April. They will be accompanied by Queen Elizabeth II and Prince Phillip, who we have no doubt throw a fantastic party. As for the Duke and Duchess of Cambridge, the couple and their family, eight-month old Louis, five-year-old George and three-year-old Charlotte, will be celebrating New Year’s Eve with the Middleton family in Berkshire. All the while, Charles and Camilla will be running off to spend the New Year in Scotland, where the pair enjoyed their honeymoon in 2005. 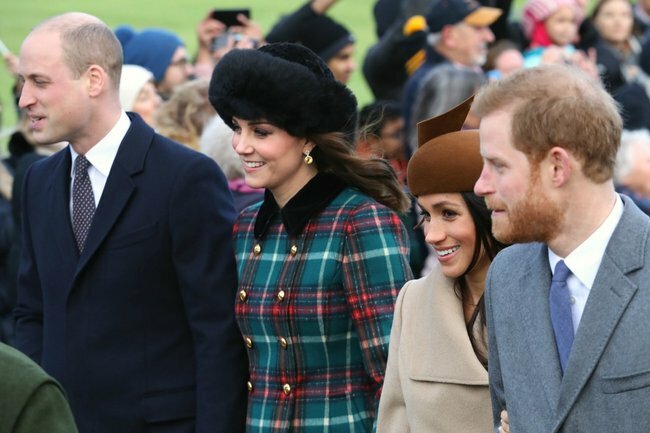 Despite Kate Middleton, Meghan Markle, Prince Harry and Prince William being pictured walking to church together on Christmas day, the rumours of a feud remain. Royal expert Phil Dampier, according to news.com.au, believes the fact that Prince Harry and Meghan Markle did not stay with Prince William and Kate Middleton at their Anmar House residence – like they did last year – was a key indication that something was wrong. Given that Meghan is currently well into her pregnancy, spending all her downtime with Prince George, Princess Charlotte and Prince Louis, while delightful, doesn’t exactly make for the most relaxing of Christmas breaks. So that could also… be why. How will you be spending NYE? Tell us in the comments!